Whales, dolphins & birds abound! As a freelance travel writer, I have been lucky enough to visit Namibia (perhaps my favourite country in the world) three times in the past five years. But whilst planning the most recent of those trips a couple of months ago, I had a look at the map and became aware that I had still only seen a tiny fraction of the whole country, mainly along the more familiar tourist routes that encompass stop offs at popular favourites Sossusvlei, Swakopmund and the incredible Etosha National Park. 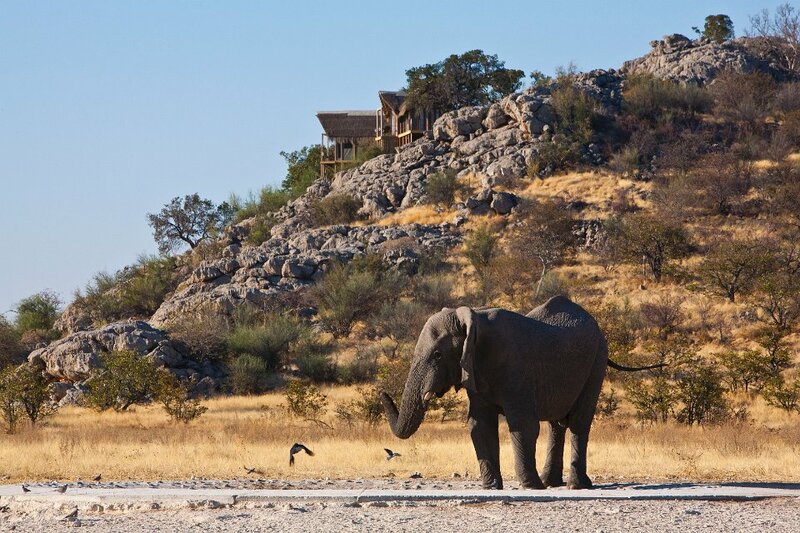 Elephant at Dolomite camp. Photo ©Christopher Clark. So this time I was determined to do things differently. I would get off the beaten track a little more (not a particularly difficult thing to do in Namibia) and fill in a few more of the gaps on my own map of the country. 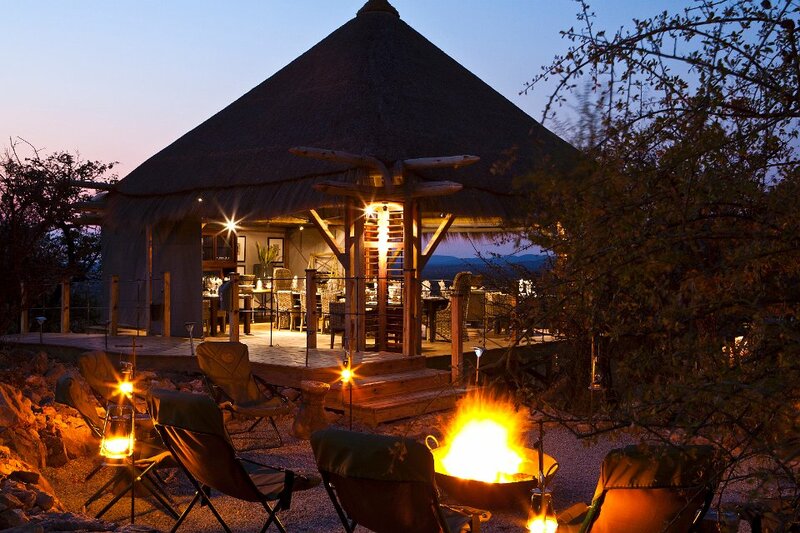 The trip began with a writing job in the west of Etosha at the exclusive Dolomite Camp. This part of the park was only recently opened to the public and is considerably wilder than the busier eastern parts of the park, and though you are less likely to see the Big 5 in such abundance here, the beautiful unadulterated landscape more than makes up for that. With the ‘work’ out of the way, I then hitched a lift south to the small, dusty town of Ketmanshoop, riding in the back of a long distance truck carrying bags of maize meal. From there I planned to catch a bus south-west towards the town of Luderitz on the Skeleton Coast. But at the town’s main bus terminal – which it turned out was little more than a patch of bumpy earth with a few rickety minibus taxis blaring out local Kwaito music – it soon became apparent that this was going to be a more lengthy process than I had foreseen. There were no other passengers waiting apart from one old Namibian man, who sat under a tree smoking a cigarette, with a trilby hat pulled down over his eyes and smoke slowly pouring through the gaps in his crooked teeth. He didn’t look like he was planning on going anywhere anytime soon. None of the buses would leave until they were full. I suddenly realised it was a Sunday. Strict timetables were relatively obsolete in these kinds of places at the best of times, let alone on a hot Sunday afternoon. I was advised by one of the minibus taxi drivers to try hitching a lift with someone from the petrol station across the road, so off I went. Within a few minutes I had found a car with three very large, bald and smiling Namibians from Damaraland. I gave them some money to help them fill the tank and then we were off. After a few hours of cutting straight through the desert like a dagger, we came to a place called Kolmanskop not far from Lüderitz. The driver, whose name was Fritz (true story), asked if I would like to get out and take a look around. Kolmanskop ghostly charm. Photo ©Christopher Clark. Kolmanskop was once a booming mining town, with amenities including various shops, a railway line, school, theatre, casino, and even a bowling alley. But after the diamond supplies dried up the colonial Germans began to vanish, and the town was gradually reclaimed by the desert. Many of the buildings are now half-swallowed by sand, but most are still filled with old pieces of furniture and settler’s belongings. Kolmanskop is a strange and ghostly place – fascinating, eerie and sad at once. Fritz and his companions bid me goodbye in Luderitz. Pristine, pastel-coloured colonial structures jostled with gothic churches, standing proud in stark contrast to the wildness of the place. I sat down in a seedy-looking bar near the waterfront and tucked in to the freshest and best oysters I have ever tasted. I realised it had only been 48 hours since I flew in from South Africa. 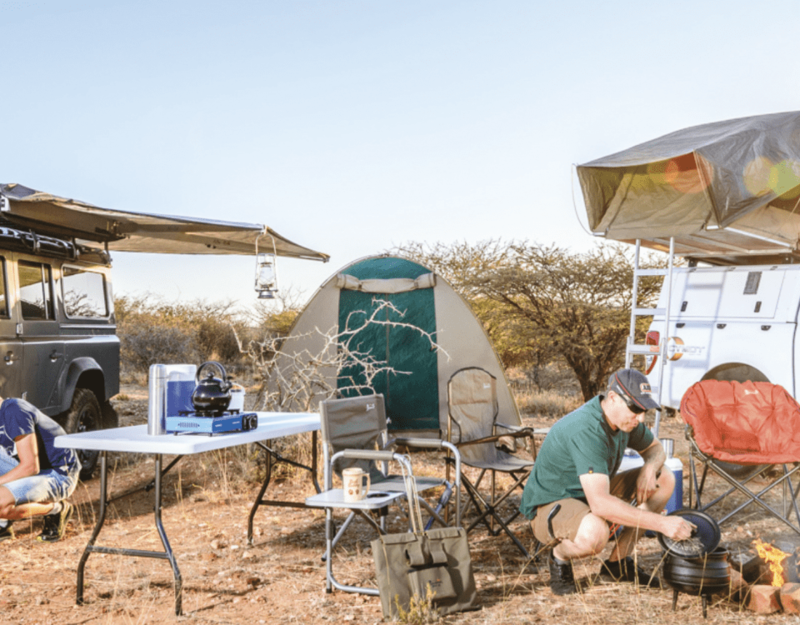 Namibia certainly had plenty of surprises up its sleeve. Christopher Clark is a British freelance journalist based in Cape Town. After travelling to more than 50 countries worldwide, he came to Africa on a one way ticket in 2008, in search of sunshine and stories. He writes for various platforms including Africa Geographic, News24 and Future Challenges and was featured as one of The Big Issue's best young writers in South Africa in 2012. Great article and photos. Is there a blog for Christopher Clark?